GSMA is predicting that by 2022 low-power WAN (LPWA) connections will exceed 2G, 3G and 4G, as a leading technology Things (IoT) connection. The finding is based on Machina Research's latest analysis shows that the number of connections will reach 1.4 billion. 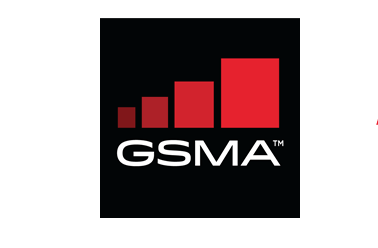 The GSMA said these figures underscore how the industry is coordinating to facilitate standardization of low-power wide area network complementary technologies such as NB-IoT and LTE-M to accelerate this market. GSMA's Alexandra Sinclair, said: "GSMA's mobile Internet of Things program in just nine months to establish a low-power wide area network market standards, the standards will be in the technology's growth, development and popularization play a decisive Role. "At present, there are several mobile operators around the world who are piloting a mobile Internet of Things initiative, and this year we will see a number of commercial applications in a range of areas that will provide complete connectivity and services for billions of new devices . " "Clearly, low-power WAN technology will transform the Internet of Things and provide both immediate connectivity and long battery life," said Jim Morrish, founder and principal of research at Machina Research. "These qualities enable low-power wide area networking "The extensive use of low-power WANs will spur the entire ecosystem of things to support new use cases, improve the maturity and coverage of many existing use cases, and accelerate universal adoption," he added. Equinix has IO UK's data center operating business in Slough, United Kingdom for an undisclosed sum. The facility is in its development phase. For the period to December 31, 2015, which is the last fully reported financial period, IO UK generated revenues of approximately $1.4 million. Equinix plans to rename the data center LD10. The facility will add approximately 350 cabinets of sold capacity and a total colocation space of approximately 3,340 cabs once the facility is completely built out. 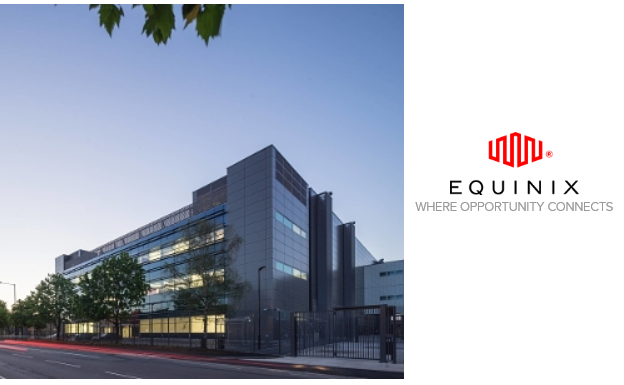 It is in close proximity to Equinix's existing Slough data center campus and will be tethered to the other data centers (LD4, LD5, LD6), enabling customers to easily interconnect with one another across business ecosystems for maximum collaboration across digital supply chains. The Slough campus also offers low-latency connectivity to key markets from London such as 30 milliseconds to New York and 4 milliseconds to Frankfurt. "London remains a global economic engine, with leading enterprises and cloud service providers making it a primary hub for IT infrastructure. 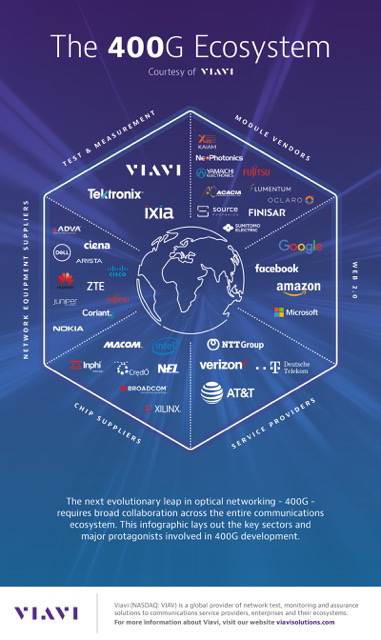 Adding additional interconnection and capacity in this market enables local and international customers to leverage Platform Equinix to meet their changing business needs – whether that is to connect to networks, clouds, or financial markets – Equinix is the place to be," stated Eric Schwartz, president, EMEA, Equinix. 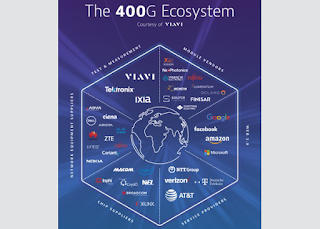 Viavi Solutions announced it has sold its ONT-600 400G tester to companies representing a significant cross-section of the high-speed optical networking ecosystem, including Japan's ORIX Rentec; a tier-1 U.S. carrier; two network equipment manufacturers, and chip and module vendors. Viavi's ONT has the industry's first 400G support to include forward error correction (FEC) and PAM4 modulation. The solution can be used for design, development and validation of 400G technologies including CFP8 pluggable 400G optics. 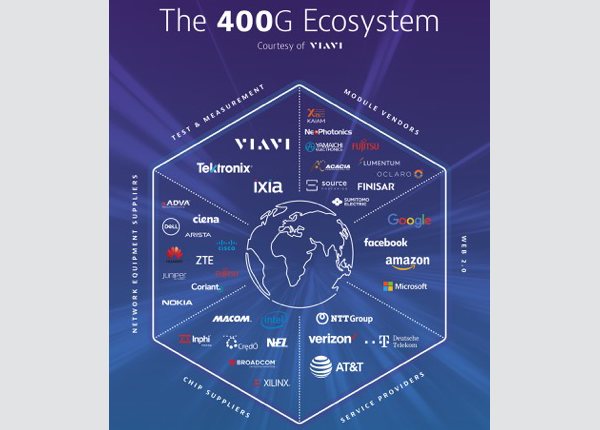 'We are delighted to deliver comprehensive test, measurement and validation solutions for 400G to leaders throughout the high-speed optical networking ecosystem," said Dr. Paul Brooks, 400G technology lead, Viavi Solutions. "The ONT-600 400G offers all the features needed to deliver 400G to the market today and can scale with a range of future applications to address upcoming challenges such as FlexE, FlexO and future OTN. With numerous demonstrations of interoperability proving its readiness for market, we expect it to accelerate 400G solutions, from integrated chips, to CFP8 modules through to complete systems." Aquantia, which specializes in high-speed Ethernet connectivity solutions for data centers, enterprise infrastructure and client connectivity,is working with AptoVision, the pioneer in video over Ethernet technology, on the industry's first fully integrated single-chip solution for implementing Software-Defined Video over Ethernet on 10GBASE-T infrastructure. The collaboration combines Aquantia's AQcite FPGA-programmable Multi-Gigabit Ethernet PHY with AptoVision's BlueRiver technology to support the new SDVoE standard. 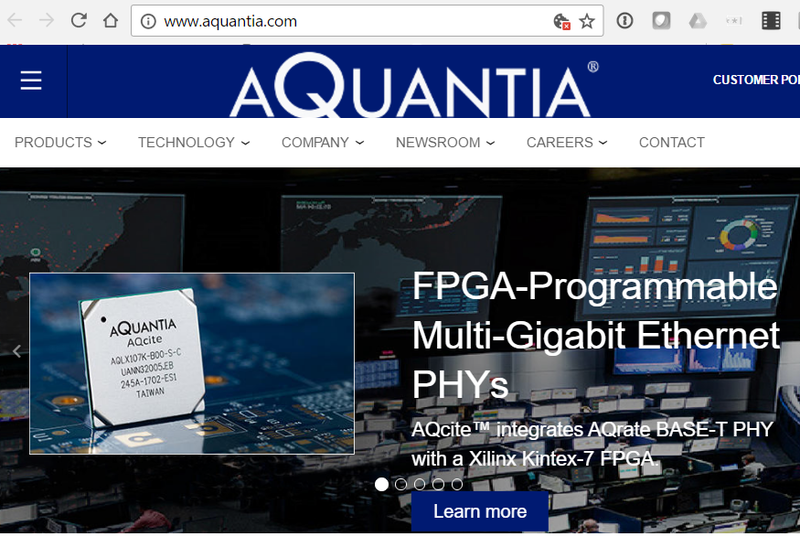 Aquantia recently announced the AQcite product line, and specifically the AQLX107, the industry's first FPGA-programmable multi-gigabit Ethernet PHY device targeting a vast range of applications such as Audio-Visual (AV) over Ethernet, machine vision, data center, enterprise, 5G wireless, industrial, metro environments and more. AQLX107 integrates a programmable FPGA processing fabric with a 10GBASE-T PHY, to create a single-chip hardware platform. Combined with AptoVision's BlueRiver technology, the AQLX107 can be used to transmit true 4K60 video across off-the-shelf 10G Ethernet networks and standard category cable with zero frame latency. Audio and video processing, including upscaling, downscaling, and multi-image compositing are all realizable on the SDVoE hardware and software platform made possible by the AQLX107. 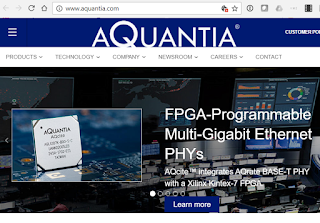 "By deploying the combination of Aquantia's AQcite FPGA-Programmable multi-gigabit Ethernet PHY with AptoVision's BlueRiver NT+ offering, our customers enjoy the benefit of a power and cost optimized solution while leveraging the large ecosystem of Ethernet networking equipment to scale their pro-AV architecture," said Amir Bar-Niv, VP Marketing at Aquantia. "We're excited to drive SDVoE into the market together with AptoVision and the other partners of the alliance with our unique single-chip solution." Western Digital Corp. announced pilot production of the first 512 Gigabit (Gb) three-bits-per-cell (X3) 64-layer 3D NAND (BICS3) chip in Yokkaichi, Japan, with mass production expected in the second half of 2017. The company describes the first production as a significant achievement in a nearly three-decades-long legacy of flash memory innovations. The 512Gb 64-layer chip was developed jointly with the company’s technology and manufacturing partner Toshiba. 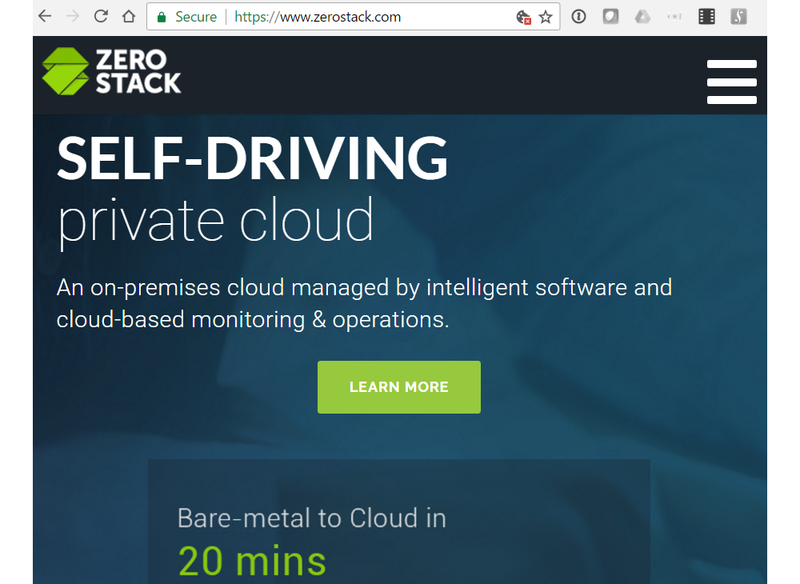 ZeroStack, a start-up based in Mountain View, California focused on self-driving private clouds, unveiled its roadmap and first suite of artificial intelligence (AI) capabilities derived from machine learning. 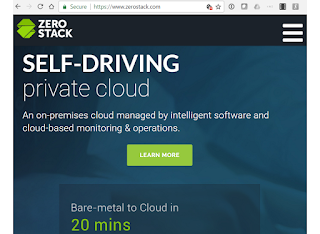 ZeroStack’s intelligent cloud platform collects operational data and leverages machine learning to help customers make decisions about capacity planning, troubleshooting and optimized placement of applications. Mellanox Technologies reached a significant milestone: more than 100,000 units of its Direct Attach Copper Cables (DACs) have now been shipped to serve the growing demand of hyperscale Web 2.0 and cloud 100Gb/s networks. Mellanox offers a full line of 10, 25, 40, 50 and 100 Gbps copper cabling for server and storage interconnect. 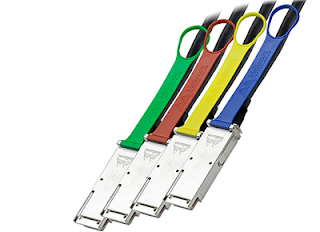 The two most popular options are splitter cables, which feature a 100 Gbps connector at one end for plugging into a switch port and either two 50 Gbps connectors or four 25 Gbps connectors at the other end for connecting to 25G or 50G servers. Widely used by hyperscale customers to connect servers to the top of the rack (TOR) switch, DACs have lower cost and zero power consumption when compared to optical cables and transceivers. The superior performance and low 1E-15 BER eliminates the need for FEC, which would add latency to the critical server-TOR link. Three UK agreed to pay £250 million to acquire UK Broadband Limited. A deferred £50 million will be made available as a credit toward an MVNO agreement on Three’s network. Three UK, which is a member of CK Hutchison Holdings, carries 35% of the UK’s mobile data traffic and its network covers 98% of the UK population. UK Broadband Ltd provides broadband access via a combination of licenced spectrum and fibre backhaul to 15,000 customers in the U.K.